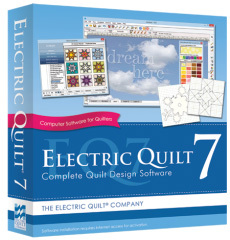 Congratulations to loralyejean who won the copy of EQ7 quilt design software. She requested the Mac version, so it should be on it’s way soon! Well loralyejean definitely had good luck today! Thanks to all of you who commented – that really makes my day! And just remember, you can like Electric Quilt on Facebook or sign up for the EQ Mailing List to get all latest news, including sales and giveaways, and free EQ7 downloads! 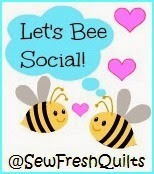 Here’s a fun blog post I wanted to share with you, written by my friend Lorna of who blogs at SewFreshQuilts. She compiled a list of one word attributes from fellow bloggers along with advice on what makes a great blog. I was honored to be included among her guests, so be sure to check it out here. She has a really fun weekly linky party, too! Thanks to all of you who follow me via my other social media. 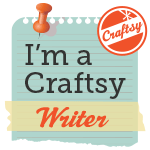 Because of the traffic to my Craftsy Blog Posts, I was listed as one of the top referrers to Craftsy in our monthly writers’ newsletter. So thanks, guys and gals, for making me look good! Christa’s Soap Box – I Finally Joined Instagram! Huge congrats!!!!! Many wonderful days ahead, Loralyejean!!!!!! That is so nice that the winner of the EQ7 will benefit from it so much.